Despite the claim from Bill Shorten that "Labor is back", former ALP Federal MP Craig Thomson warns it was not a win for progressive politics. WHAT AN exciting election night in the very best of ways. My Saturday evening was organised with a TV, a remote control, a few beers, a pizza and my mobile phone to check in directly with some local results. My expectation was not high, despite the polls. Like many Australians, the continual "Turnbull will be comfortably returned" mantra had, even in my cynical mind, seeped through. They couldn't all possibly be wrong, could they? 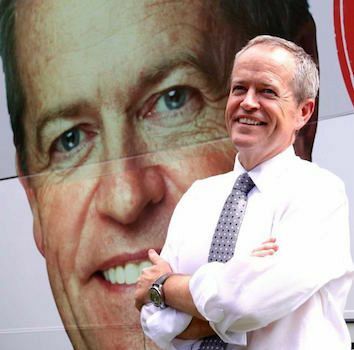 Let's start by saying that whilst a long and pretty boring campaign that lacked a lot of bold policies and charisma, Bill Shorten was head and shoulders above the Coalition. At the start of the campaign, I thought if the ALP could concentrate on health and education they stood a chance and Shorten, on health in particular, did this well. I suspect if he had his time again, the Medicare and health fight would have had some positive contributions to add to the very successful and fully justified negative campaign. Bill warmed to his task and intuitively felt the response he was getting from the electorate on this issue, and built its momentum over the final weeks. One can only speculate that if, along with the negative and justified Medicare campaign, we had proposed some strengthening of Medicare. How more inspiring if we were looking at adding some dental care to the Medicare scheme or raising the GP rate on the basis of more bulk billing? Nonetheless, Bill did well in this area. My great surprise was that Turnbull and the Coalition where so unprepared for this type of campaign and, unbelievably, cried foul over it. Labor's creation of, and long standing support for, Medicare and a fair and well funded health scheme were always a plus. With the Coalition's long held preference for private health insurance over Medicare, it is stunning the Government were so unprepared for such an attack. You get the feeling that the Coalition – and Turnbull, in particular – believed in their divine right to rule, and that Turnbull's destiny was preordained and so victory was surely theirs. They had a lazy uninspiring campaign where even the central messages that potentially could damage the ALP were poorly thought out and badly delivered. Whoever thought tax cuts for multinationals could possibly be sold as being a better alternative for people struggling with cost of living issues, and having concerns about health and education issues? Turnbull spectacularly failed to hone these messages to voters' concerns and "Jobs and Growth" became a parody rather than neatly fitting with good economic policy that would improve the lot of all. For the party of "children overboard" and "weapons of mass destruction" to cry foul over any negative campaigns is patently not just hypocritical but is, in itself, offensive given the lies the Coalition has peddled over many years. What is also clear from the campaign is that the mainstream media are totally divorced from independent assessment and reporting of the issues. From the outrageously partisan Daily Telegraph through to the Fairfax rags, it was clear not one writer queried the inevitability of the Coalition win. The ABC called the election to Turnbull three weeks out from the event. Little wonder polls showed a large proportion of the population believing a Turnbull victory was rock solid. This is even more surprising given all the polls all showed exactly the result we saw on Saturday — the major parties split 50:50 and a large rise in support for alternatives to the two main parties. Of course, on social media, the real story was playing out with it being very clear there was an evenly divided community. Many in the media decry the decline in the MSM, but with such blinkered reporting and partisan commentators dominating no one will look to them as a guide every again ... and thankfully they didn't in this campaign. It is not just the rise of social media that is challenging the MSM, it is the MSM changing from being an impartial observer to becoming a partisan player that is also being rejected. Validation of a journalist’s view was sought not through the views of the electorate, or indeed the polls, but by speaking and interviewing each other. This old style MSM club is getting smaller and more irrelevant, and the public isn’t listening to it anymore. One has to ask the obvious question: was it by design to help achieve a result, or just a mindless and gullible pack mentality, conditioned to blindly follow each other and make no real independent inquiries? Either way, it's unacceptable and any trust given to their views is now also history for the vast bulk of the voting community. Certainly, the big loser in the election was the Coalition and particularly Malcolm Turnbull. Despite Andrew Bolt’s and Peta Credlin’s protestations, Abbott is still a loser. Seats like Dobell that Abbott personally "looked after, campaigned in" and, controversially, spent Warringah branch resources on, saw large swings to the ALP. Sober analysis will show Abbott is no messiah for the Coalition. In addition, it must be said that progressive politics still didn't win. There isn't a mandate for anything the ALP put up as we still lost the election. Worse still is the ALP primary vote languishing at 35%. That means two out of three people didn't vote for the ALP. Even if you add in the Greens 10%, you still only get to 45%. So, while this election result was beyond expectations and Bill Shorten campaigned his socks off, there are a few major long-term worries for the ALP. The standout problem in the long term for the ALP that was masked in this election because of a surprisingly high preference flow to Labor is the vote of the racist One Nation party. As inconceivable as it sounds, without the flow from One Nation votes to the ALP in seats in Queensland and my old seat of Dobell in NSW, this election would not have been close. The ALP achieved only 35% first preferences and even if you add the 10% of votes to the Greens, left of centre parties received only 45% of the vote. This is a very bad result, and the ALP cannot and should not expect or want the preferences of a racist One Nation. The long-term problem for Labor with One Nation is that, as when the Hanson threat emerged in the 1990s and Howard moved to incorporate Hanson ideology within the Liberal party, the same or at least a binding preference deal will be done to ensure the preferences don't flow as they did in this election. Secondly, the ALP should not court this vote by becoming more xenophobic in its outlook, which appears to be happening with some irrational and really rather racist policy positions on foreign workers in skill shortage areas. These are not easy and often complicated issues, but a party that only has one out of three people voting for them can never claim to have a mandate for its policies. So, we are right to celebrate Bill Shorten's success in this campaign, but 35% of the primary vote means the real challenges for the ALP are in the next few years and, if Saturday’s result is glossed over, it may well prove a false dawn. Craig Thomson is former federal Labor and Independent MP for Dobell. Support independent journalism. Subscribe to IA for just $5.